I am a list maker. I’ve made lists of lists I need to make. So getting ready to cast off has sent my list writing endeavors into overdrive. 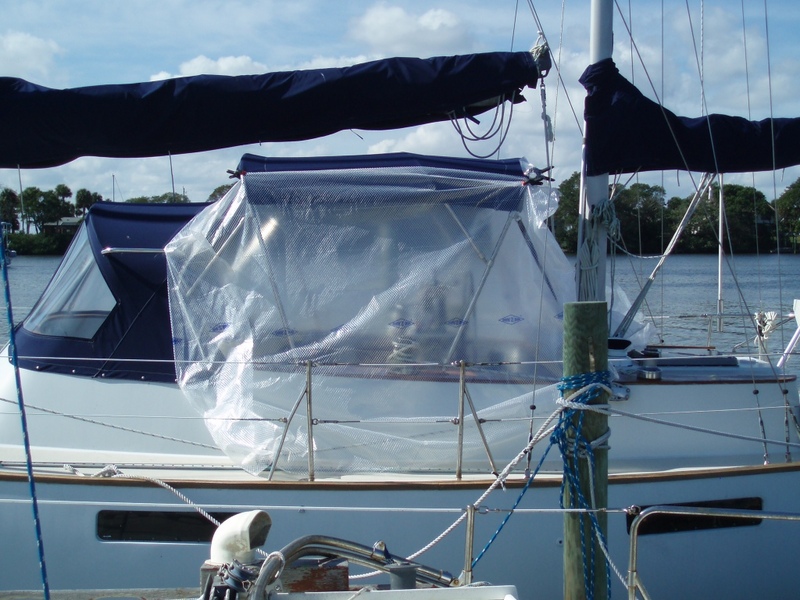 I’ve got lists of boat projects, lists of charts and books needed, lists of things to sell/get rid of, lists for spare parts, lists for provisioning……. Keith is not a list maker. He just gets the stuff that needs done-done. At the moment I have 117 items just on our project list. Some item will only take a few minutes, others are big and will take a few weeks. Of course new projects are always being added, sometimes projects are crossed off without being done, and then (frustratingly) some projects get completed that were never on the list to begin with. I know we won’t get everything done before we leave but we are trying. Tonight I crunched a few numbers and with roughly 38 weeks left to work with, we need to complete a net average of 4 projects a week. It doesn’t sound unreasonable……let’s see. My current big project is to make a full enclosure for the cockpit and finish up a few improvements on the dodger and Bimini that I made two years ago. This definitely won’t be a quick project.